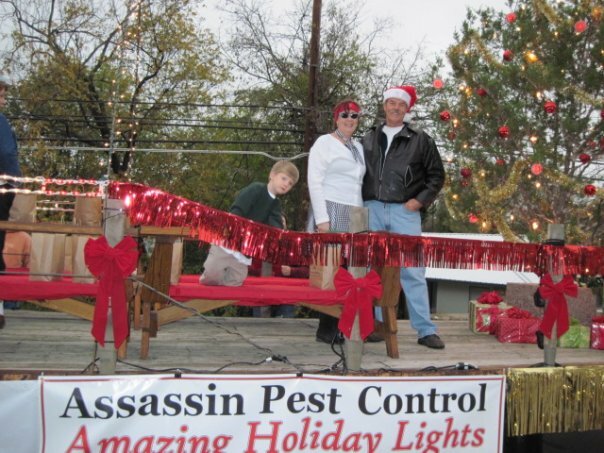 Assassin Pest Control has been serving the Lake Travis area for 25 years. 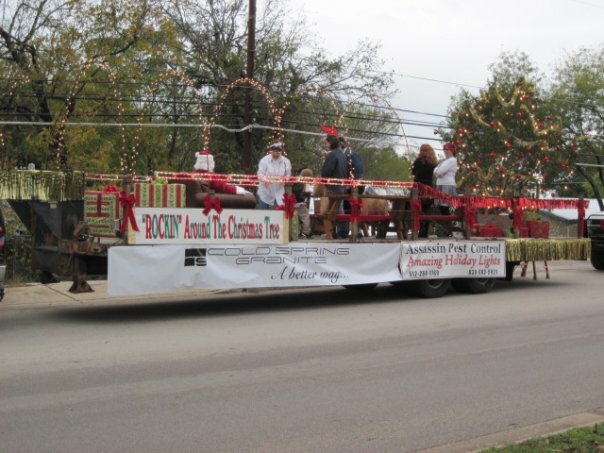 Now we also bring you high quality holiday lighting as Amazing Holiday Lights! We continue our long tradition of excellent customer service, innovative products and personal attention to detail that you have come to expect from us. 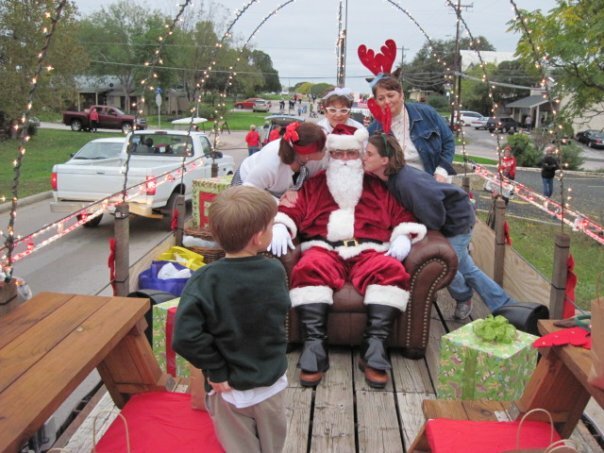 Call or email us today to set up an appointment so we may design a unique display just for you! 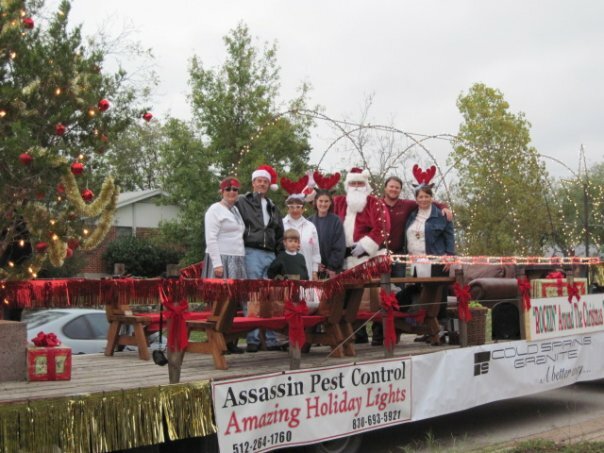 Marble Falls Holiday Parade 2009 - Amazing Holiday Lights by Assassin Pest Control partnered with Granite Mountain to enter a float in the Marble Falls Holiday Parade on November 20. 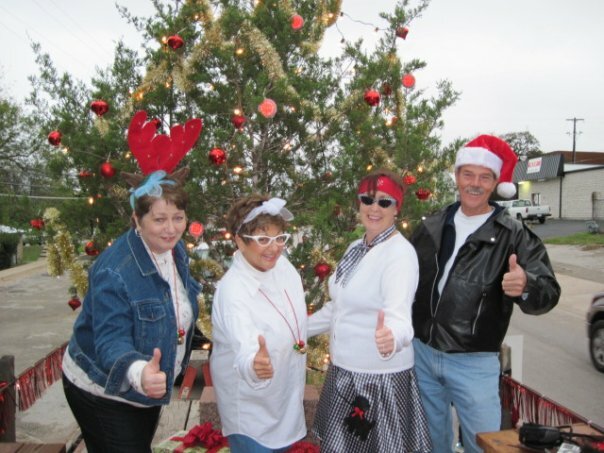 The theme was �Rockin� Around the Christmas Tree� and included AHL�s Harvey and Ginny Jacks along with Granite Mountain�s Carol Stiles and Donna Dean dressing up in fifties style and �rockin� along with parade route on Main Street.